The dawn of the internet and the breaking point of technology has led to many discoveries and changes in the world. Daily, there are new words and new trends. Humans are unavoidably faced with the task of adapting to the usage of these things. However, one great advantage of the internet is the monetary factor. The internet has become the livelihood of many people and daily, people try to learn ways on how to milk money out of it. Thanks to social media and affiliate marketing. The most popular ways of making money via the internet and websites is the MICRO JOB. Micro job is a temporary , task type jobs of all types, often booked through the internet. There are over 100 micro jobs websites in the world today. Pertaining to the Nigerian perspective, there are many micro job websites. But like in all cases there are numbers among numbers. There are the known and unknown ones. There are the popular and unpopular ones. And there are some which are just in the crowd to bear the name of ‘micro job websites. Of course, there are the outstanding ones and that is what I am just going to talk about here. It is the recent micro job website in Nigeria. Created with the aim of taking the stress of going to foreign micro job websites from Nigerians. It is a micro job website where you get to work for your own people, and get paid in naira. It gives one relief from the headache of PayPal. All transactions are done with trust and the sellers get paid directly into their bank account. Created with the intent of providing an avenue where any Nigerian with a laptop or phone that has an internet connection and can provide sundry software online services to a customer living miles away. It is made to create a unique platform that takes the stress out of freelancers or job seekers. And at the same time provide job owners/ business owners to choose from the best individuals from the market. Designed to let Nigerians sell their services at the lowest price as possible. Their job gigs have the lowest prices. It is mainly for freelance website designers. One can get services here at affordable prices. The life wire of every micro job website is consistency. The more consistent it is used, the more longer it stays, and the more successful it gets. Like all websites and blogs, micro job websites have their own means of getting their own money without milking the users dry. They take a small percentage of every paid job and give the seller the greater percentage. Micro job websites are made to make the seller and buyer bosses over their own jobs, without interference from anybody or anything. However, the system is made in a such a way that it is risk free, and to protect the interest of both buyer and seller; also to guarantee maximum satisfaction. 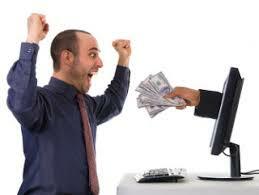 Nevertheless, the owners/creators of the websites control the deal, so the guarantee of getting paid is there. Also, they protect the sellers from being scammed by unscrupulous clients.